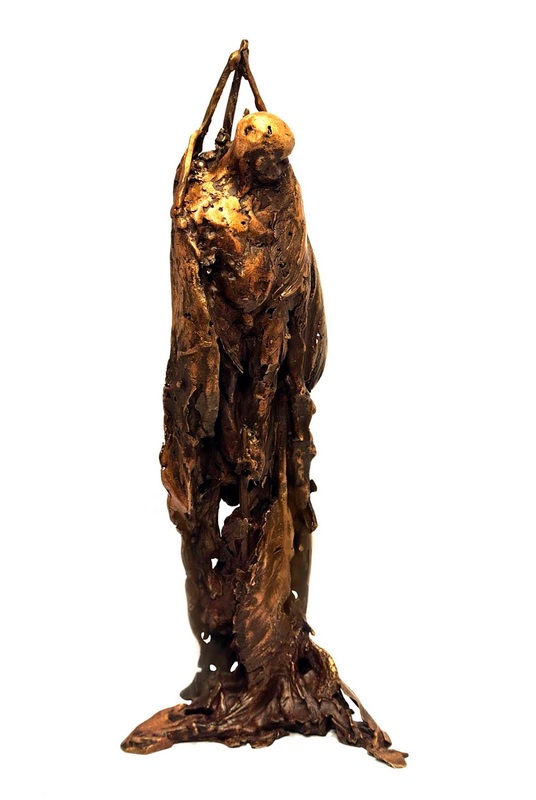 In this short article we meet sculptor, Catherine Vitebsky, from the United Kingdom. I was quite taken with the project's theme and what it sets out to do on such an ambitious scale. The initial subject matter and material provided, which was very striking and rich for my sculptural endeavours. Also, I am already fascinated by mythology and folklore themes. Working inspired by the material and referencing greek mythology and folklore of goats and ‘goat-men’. On a sculptural level, exploring the anatomical structures and forms of the goat through 2D sketches and wax maquettes. Then finalising the design and material to be used. Note: I had no idea how specialised the goat breeds are in Greece before the project!! My work is loosely naturalist but also draws on mythological shapes and ideas as rich territory for artistic work. There is undoubtedly a sinister edge to the work I have produced in response to the project. And I hope this will be readable in the work. Whatsmore, perhaps through this process we find a common language. Collaboration of artists from a vast array of mediums and nationalities and therefore the ongoing dialogue this cultivates is really unique. Folklore transcends time as the audience will see – it is just as relevant in the modern day and the viewer may well see some aspect of themselves in the work as I believe it explores themes of humanity. This sculpture stands in transition: its form as yet unfixed: is this man or something more mysterious?! This is a moment of metamorphosis, what we are not clear of is whether this is literal or symbolic - the viewer can decide! All the works created for WHISTLE project by Catherine, will be available to the public during the transmedia exhibition. 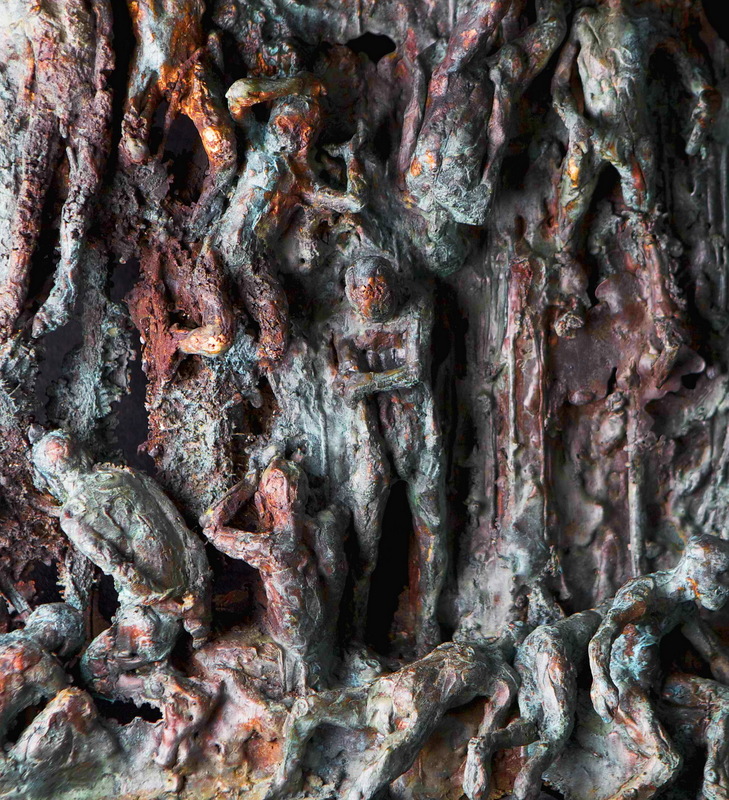 Catherine Vitebsky works mainly in bronze. After training in traditional bronze casting techniques in a Suffolk foundry and stone carving in a Portland quarry, she did Fine Arts at Chelsea, London, where she questioned the prevailing post-heroic rejection of the monumental human figure while studying the German Anti-Monument movement as well as Metzger’s Auto-Destructive ‘Happenings’. She continued exploring the human body while caring for dementia patients. 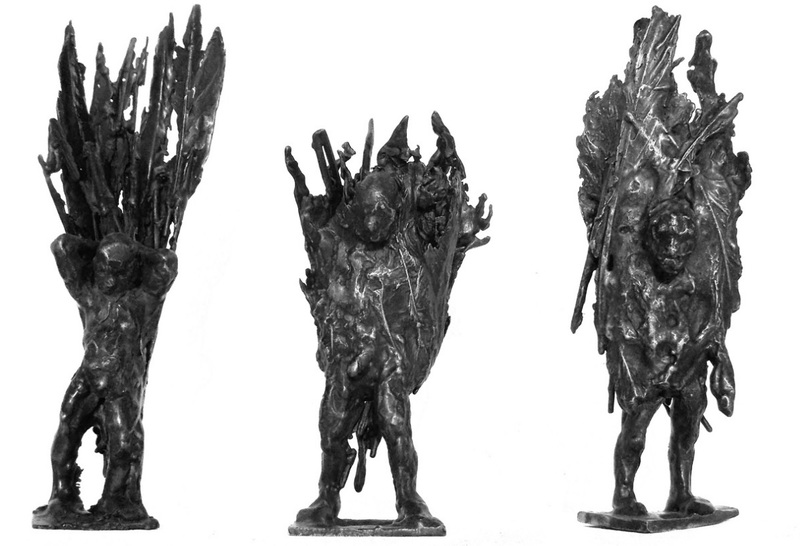 Simultaneously, as a technician focusing on material and process, she felt that the knife-edge tension between bodily dignity and humiliation mirrors the alternation of destructive and creative processes, as a bronze sculpture is formed through mould-making and obliteration in the kiln. 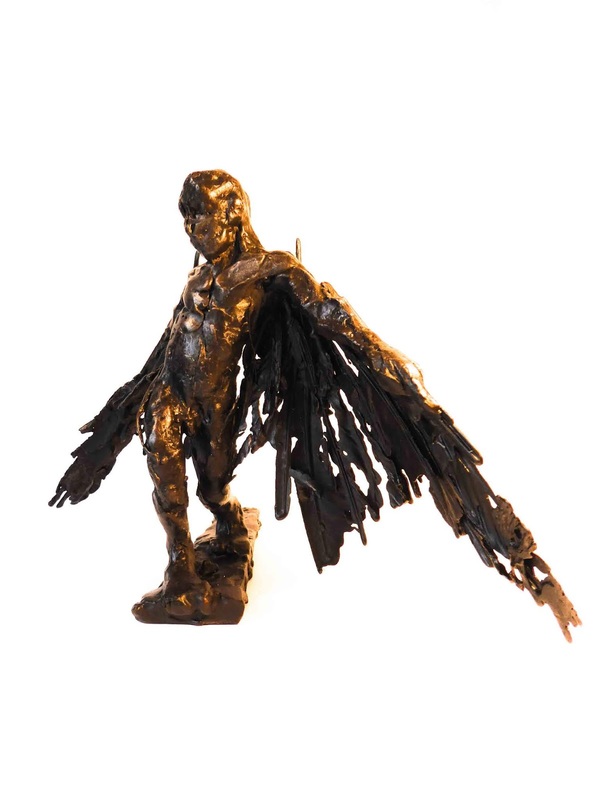 She followed up creative destruction through direct burning out of organic material, adapting the lost wax process for feathers, using fragile cast-offs from a bird’s body to express extraordinary powers of flight and exaltation – though also at times as a burden. Recently, inspired by her earlier travels among nomads and shamans in Siberia, she has started to explore ‘shape-shifting’ between humans and animals.